Join me on a bike ride? Innovative or Just Plain Dumb? The universe does not want me to make chivda. Not yet, anyway. On Sunday, the big packet of pohe turned out to be the wrong kind - thick instead of thin. The Indian store is closed on Monday and the news of Bri's passing came as such a shock that I was paralyzed into inaction. I lit a candle for Bri yesterday. I didn't light any diyas. On Sunday night, I couldn't understand what was going on until I realized that the din in my head was cranberries calling out to me from the deep recesses of my refrigerator. A recipe for Cranberry-Oatmeal Bars in the latest issue of Cooking Light had caught my eye. However, the use of sour cream did not appeal to me. Also, I had fresh cranberries and I had no clue what rule of thumb to use for substitution. I figured if I left out sour cream, 2 cups of fresh berries would provide the moisture. I really don't know if my reasoning made sense but the bars turned out to be just right for us: tart and not too sweet. The original bars are meant to be not too sweet and not too tart. Apparently, sour cream makes these bars almost cheesecake-like so I might give the original recipe a try some time later when I have recovered from the current overdose of sour cream. Many of my friends use it in everything: from sauces to raitas and frankly, I am sick of it. I also wanted to use my brown molasses but I didn't know quite how well the flavor would work with cranberries. I thought it worked well and might use only brown molasses in the filling the next time. Grease a 9x9in baking tray using cooking spray. Lightly spoon the flour into a dry measuring cup and level with a knife. In a medium bowl, mix together flour, oats, brown sugar, salt, baking soda, and ground cinnamon. Drizzle melted butter and juice over this mixture, stirring until it is completely moistened. The mixture will be crumbly. Reserve 1/2 cup of this mixture and press the rest into the bottom of your baking tray. In a large bowl, combine cranberries, pecans, granulated sugar, brown molasses, if using, all-purpose flour, vanilla extract and the beaten egg white. Stir until the cranberries are well coated and the brown molasses has been mixed well. Spread this cranberry mixture over your crust. Sprinkle the reserved crust mixture evenly over this filling. Bake at 325F for 40 minutes or until edges are golden. If you can wait, cool on a wire rack. 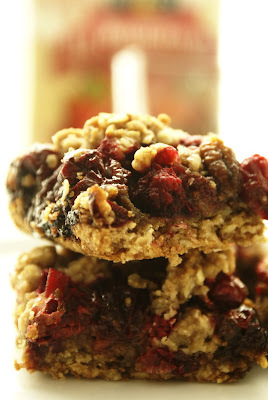 These tart cranberry oatmeal bars are a treat with coffee or as a snack between meals. Medha is not completely sold on cranberries but she did say that she never thought oatmeal could taste so good! I used pomegranate juice because that's what I had. I did not have orange juice or oranges at home. Therefore I did not use orange rind in the cranberry filling and quite frankly, I missed neither. 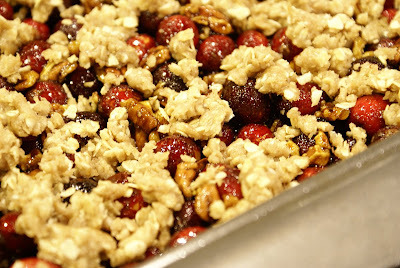 Since I used fresh cranberries, I stored these bars in the refrigerator. These bars have lasted a little longer because they are on a shelf higher than some people can reach. Unlike the cranberry-apple crisp. If you try this recipe with my variations, then remember that my version is tart and less sweet. Ideal for us but not necessarily palatable for those with a sweet tooth. The bars taste less tart the next day. Yesterday was Narak Chaturthi, the second day of Diwali. 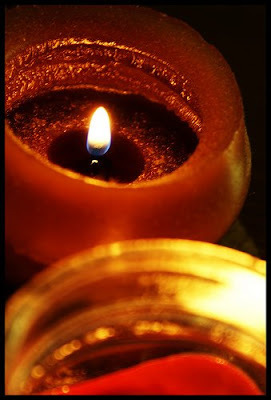 Today is Laxmi Pujan, the third day of Diwali. This coming Sunday, we will be participating in a mass Laxmi Pujan at Balvihar, just like we did last year. I think it is high time I made nankatai again. Happy Diwali to you all! The bars look like it were made by a pro.. Happy diwali to you too. really, what's the secret to getting such perfect shaped bars? haha. Have to find an oats stockist - don't want to buy Quaker...The bars looks very yum but I must first try the crisp. everyone seems to be making crisps! Yash, I hope you had a great Diwali! Long time! How are you? Anita where are those Quaker oats made? Bhumi, yay! You made it here! Happy New Year to you, too! I love chivda, too! Did you make the mithai you were planning to? How did that go? 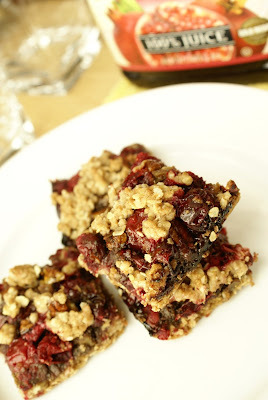 wow, bars look yummy, my mum makes these yummy honey bars, cranberries seem like a great addition, will def try them! 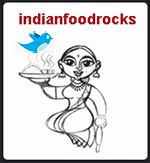 Manisha, this recipe seems to promote the saying ‘eat healthy to stay healthy’. You seem to have gotten the exact right mix of ingredients to gain that divine flavour and taste, while at the same time making sure that none of the vital nutrients are lost. Also, there is very little fat in this recipe! Great going! For more expert tips and suggestions on healthy eating habits, check out http://knorratseven.blogspot.com/.